A Run of Bad Luck: The Cursed House By The Thames. It is most unfortunate that such a beautiful house should carry a curse. Folks locally seem fairly sure about when the curse began. It began, they say, with the only Abbot the abbey ever had. One thing you need to know about this Abbot’s abbey: it was not a long-lived enterprise. Now the Priory which had stood just next to Bisham Abbey, that had a bit of time under its belt. The foundation stone had been laid by Edward II in 1337, and it had trundled on ever since, right up until the moment Henry VIII’s thugs had come to decommission it in July 1537. But Jane Seymour died in October of that year, and Henry was heartbroken. All of a sudden he needed prayers for his dead wife, the only one who had had no time to disenchant her husband. And that’s a bit of a problem when you have demoted a large percentage of your jobbing men of prayer, and knocked their living quarters to the ground. Henry’s solution: found a quick abbey to pray specifically for Jane. 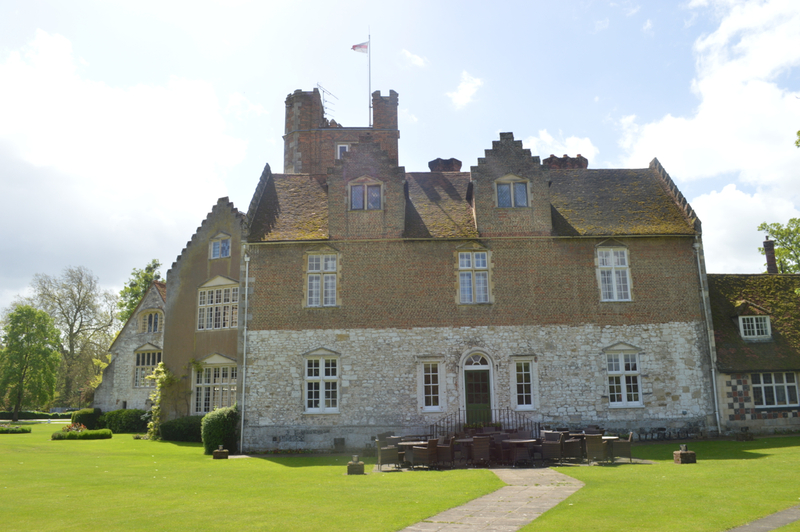 As luck would have it, he had not got rid of the entire priory at Bisham. Perfect: Henry moved in a bunch of Benedictine monks under the direction of Abbot John Cordery. By June 1538, he had tired of the whole idea. The Benedictines were turfed out, and the Abbot was feeling understandably tetchy. And the abbot is said to have ranted, as he left his tenure of less than a year: “As God is my witness, this property shall ne’er be inherited by two direct successors, for its sons will be hounded by misfortune”. Thing is, the owners of that house had never been entirely free of misfortune in any case. Long before the Abbot is thought to have cursed it, its owners were meeting grisly ends. Mainly because whoever owned Bisham was never far from the centre of power. Passed from the Templars to the Earl of Lancaster, it fell to his son in 1316. He was executed in Pontefract in 1322. So they gave it to Hugh Le Despenser, who was beheaded in 1326. After less than 100 years of respite with the Montague family, the Earl of Salisbury took up residence and his son was a mover and shaker, a King-Maker. Nevertheless he met his end after the Battle of Wakefield in 1460 and was beheaded at Pontefract. The King Maker’s estates were divided and Bisham fell to the Duke of Clarence, who met a violent death and whose son , Edward, Earl of Warwick, was beheaded in 1499 for attempting to escape from the Tower of London with Perkin Warbeck. So Henry VIII gave it to a saintly woman. How could a curse dissemble against such a one? Margaret, wife of Sir Richard Pole, was described by Henry as the most saintly woman in England. It was as if the King was defying the house to despatch her as it had all the others. Yet her third son proved a most displeasing Archbishop of Canterbury. The cleric wrote a book published abroad which criticised how Henry managed the church. A furious Henry arrested all members of his family, threw them in the Tower and after a couple of years had them executed. Margaret was buried within the confines of St Peter’s Chapel in the Tower of London. You would think that the house had done with its tempestuous times, wouldn’t you? That no-one would touch Bisham Abbey after such a chain of tragedy? But you would be wrong. For by 1522, the stage was set for a most shocking and bloody episode of its history. Where Henry VIII was involved, I guess, it paid to keep a low profile. I look forward to finding out what happened next. Indeed, Kathy. Henry was a very dangerous man to be around….
. . . and now, I eagerly await the third part of this cursed house story, dear Kate. ok a house of seriously bad vibes? Not these days, Sidey, though it is reputedly haunted. The sports fraternity make it feel like Hogwarts, only with track suits. Affable. Do you know that if you have something a bit skew in your top-storey, you can see the featured picture as a large mattress floating above a lawn, and with a bedspread made of plants? Ah, you passed my cunning ink blot test. It looks like such a welcoming place, really. Can’t wait to hear what else it gets up to. It was when I pottered along, Andra. But it does hide quite a history. Very interesting. No one digs history like you do Kate. 🙂 It’s lying around on the surface here in England, Jas! And still no one sees it the way you do. Fascinating, as always,Kate, can’t wait to hear the worst! I’ve missed so many of your posts since coming back to Australia, I must catch up quickly! Hi Wanderlust, I hope you’re settled back in Australia. I have slowed down and only write a couple of times a week these days – family demands it – so there’s a little less to catch up on. Talk about a house of ill repute! In the next installment, Kate, we’re in store for a bloodbath? On a small scale, Virginia. But the story is a cracker. A three-parter? You’re really spoiling me, Kate.